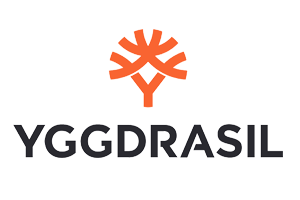 Inspired by the mythical tree of knowledge that binds the nine worlds together, Yggdrasil Gaming started their journey in the online entertainment industry in 2013. 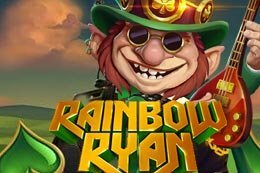 After gaining its gambling license on the year of establishment, the game developer quickly rose to fame after proving to the gamblers from all over the world why Yggdrasil is best at what they do. Players looking for a new experience among all the new wines in old bottles may find pure satisfaction in Yggdrasil powered games and taste something new and unique. 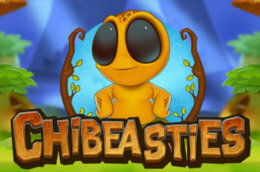 The very first game launched by Yggdrasil received “Game of the Year” award and secured the developer’s position in the gambling arena. 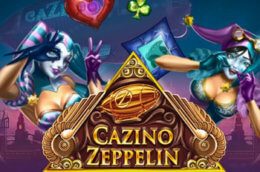 Their continuous contribution in the gambling world consists of smooth graphics, flawless action, adrenaline driving adventure and modern themed layout. Their games are packed with features and elements which stay out of the norms and rules captured in typical casino games. As the game developer has gradually conquered the online casinos and entered their selective list of offerings, they also showed their credibility by bagging numerous licenses from the biggest gambling commissions including UKGC, MGA and a lot more. Their games are regularly tested and certified by different third-party auditors, thus you can be sure of the safety and fairness underlying in the games. 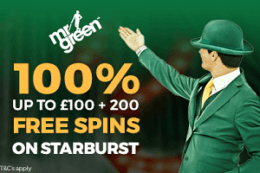 Why is Yggdrasil Gaming a Good Gaming Provider? Yggdrasil offers games for everyone. Therefore, you will be able to find video slots, lotto products, online and mobile scratch games and most importantly, jackpots. 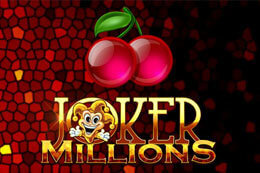 Their progressive jackpots offer a huge amount of cash prizes whereas the other games keep up with the pace in a similar way. 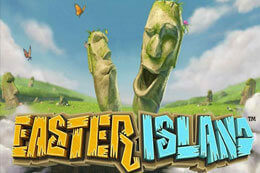 The games are rich in color, feature HD graphics, and portray modern interpretation of popular concepts. 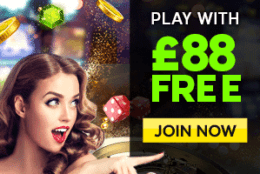 Along with regular tournaments available on the games at the developer’s website, you may find attractive bonus and promotional offers on different casinos that house games from Yggdrasil. 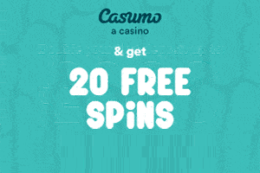 The necessary information on the bonus, promotional offers, free spins, cashback etc. features are also displayed on the developer’s website. One of the most interesting features of Yggdrasil games is their extraordinary bonus features and free games included in every game. Each game is like a quest in a magical land where you discover new elements as you continue to play. 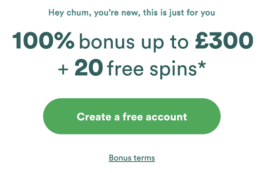 For fans of Yggdrasil Gaming, the good news is that they can achieve additional benefits in online casinos who offer fair gaming, great payback percentage and generous loyalty points. As mentioned above, Yggdrasil Gaming received a taste of their very first award on their very first game! Upon its release, ‘Jokerizer’ set on creating a highly positive impact on the players and the critics and succeeded in grabbing a “Game of the Year” award. 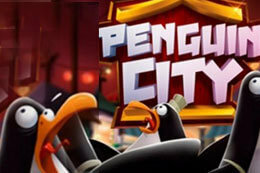 As more games were released, the company started to gain more attention and more success. Their award showcase is filled with recognition of their contribution, including 2015 EGR B2B Award as “Software Rising Star, 2016 EGR B2B Award, “Slot Provider of the Year”, “iGaming Software Supplier of the Year” by International Gaming Awards in 2016 and many more. As Yggdrasil is working relentlessly as an underdog to earn their recognition among the gaming giants, we may expect more awards and achievements in their already stocked up pile of rewards. 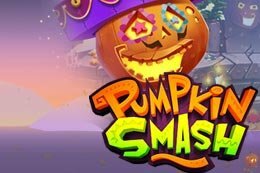 Yggdrasil Gaming has realized the need for mobile friendly games and designed an instant play, iSENCE 2.0 enabled interface which makes the games smoothly optimized in any device. This advanced technology is specifically beneficial to the mobile users as they can launch the games without having to download additional software while enjoying a superior performance. 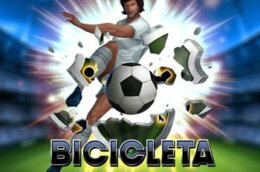 The game developer, keen to provide “Superior Gaming”, has delivered to us such games which are all unique, magnificent and stunning in their own way. However, we have selected 3 best games from this renowned developer which are briefly discussed below. 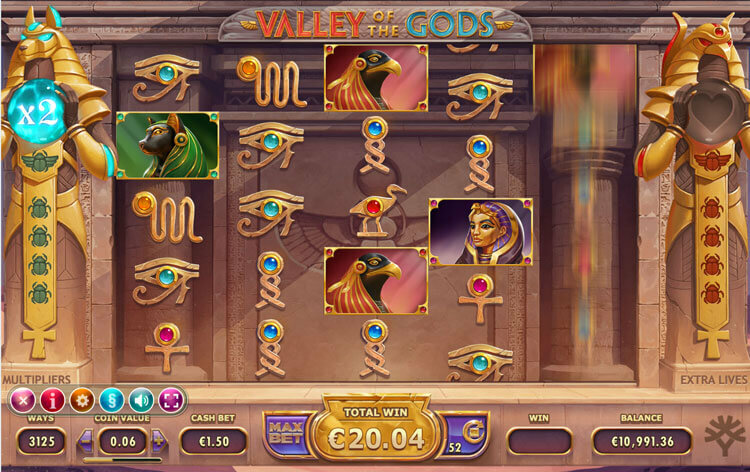 Just as the title suggests, this beautifully crafted video slot gives you a visually delightful experience where you can explore the land of ancient Egypt. 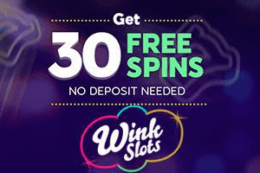 It is a 5 reels slot that offers a coin range fit for casual gamblers looking for some fun experience and high rollers aiming for massive winnings. Adorned in golden and brown detailed artwork, hieroglyphic symbols and multiple bonus features, this game is a treat to the mortal eye. 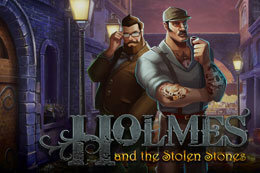 Playable in both desktop and mobile platforms, this game can be played in 3,125 ways and has 45 ways to win. 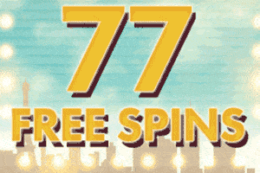 Whether you are a rookie or an experienced gambler, this visually aesthetic slot will soothe your heart. If you have grown up loving Disney fairy tales or watching the movies, then you will probably fall in love with this beautiful video slot by Yggdrasil. As you start the game, be prepared to be mesmerized at the stunning portrayal of Belle, the Beast, the castle ground and numerous jewels and symbols related to the widely loved franchise. 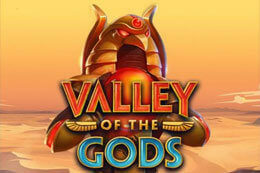 Free spins, wild symbols, scatters, all are available in the game which will help you to win big cash prizes. The rose symbol helps you to gain free spins whereas the maid acts as expanding wilds. Extra features are gained from activating the Golden Bet. This is a slot that is for the bravest souls out there. If you are someone who enjoys the dark, fearful but entertaining casino slots, then Wicked Circus is for you. Mixed with traditional casino symbols including tropical fruits, there are thematic symbols which will make your gambling experience entertaining. It has multiple ways to win massive cash prizes along with a good number of bonus features. The Jokerizer mode is another feature to keep an eye on. 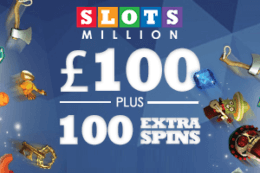 As the slot has numerous features and huge winning potential, we recommend you try it out in one of our recommended online casinos to get the complete idea. Originally situated at Malta and gradually expanding in other regions, Yggdrasil promises a world of gambling slots which will take someone away in a land of adventure each time they play a new game. As you are going through this review, the masterminds of Yggdrasil are probably already planning a new surprise for you. Before that appears, make sure you check out the gems they have delivered so far! Happy gaming.